Logan Thibault miután leszerel a tengerészgyalogságtól elindul megkeresni azt az ismeretlen lányt, akinek fényképét a háború során találta: azóta hisz benne, hogy ez a kép védte meg őt Irakban a rá leselkedő haláltól. Mikor rátalál a gyerekét egyedül nevelő fiatal nőre, képtelen elárulni, hogy miért is érkezett. Munkát vállal a családnál, és a kezdeti bizalmatlanság ellenére egyre közelebb kerül Beth-hez. De az egykori katonát nyomasztja a titok, amit magával hozott, és ami talán közéjük állhat. Itt az idő, hogy az iraki veteránok is rendelkezzenek romantikus filmmel. 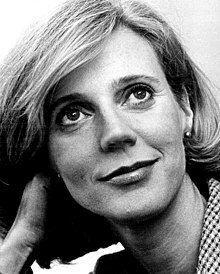 Blythe Katherine Danner (born February 3, 1943) is an American actress. She is the recipient of several accolades, including two Primetime Emmy Awards for Best Supporting Actress in a Drama Series for her role as Izzy Huffstodt on Huff (2004–2006), and a Tony Award for Best Actress for her performance in Butterflies Are Free on Broadway (1969–1972). Danner was twice nominated for the Primetime Emmy for Outstanding Guest Actress in a Comedy Series for portraying Marilyn Truman on Will & Grace (2001–06; 2018), and the Primetime Emmy for Outstanding Lead Actress in a Miniseries or Movie for her roles in We Were the Mulvaneys (2002) and Back When We Were Grownups (2004). For the latter, she also received a Golden Globe Award nomination. Danner played Dina Byrnes in Meet the Parents (2000) and its sequels Meet the Fockers (2004) and Little Fockers (2010). She has collaborated on several occasions with Woody Allen, appearing in three of his films: Another Woman (1988), Alice (1990), and Husbands and Wives (1992). Her other notable film credits include 1776 (1972), Hearts of the West (1975), The Great Santini (1979), Mr. and Mrs. Bridge (1990), The Prince of Tides (1991), To Wong Foo, Thanks for Everything! Julie Newmar (1995), The Myth of Fingerprints (1997), The X-Files (1998), Forces of Nature (1999), The Last Kiss (2006), Paul (2011), Hello I Must Be Going (2012), I'll See You in My Dreams (2015), and What They Had (2018). Danner is the sister of Harry Danner and the widow of Bruce Paltrow. She is the mother of actress Gwyneth Paltrow and director Jake Paltrow. Adam LeFevre (born August 11, 1950) is an American character actor, poet, and playwright who works in cinema, television, theater and commercials. LeFevre was born in Albany, New York, the son of Helen (née Rhodes), a hospital patient representative, and Ira Deyo LeFevre, a physician. He completed his undergraduate at Williams College in 1972, and he holds graduate degrees from both the Iowa Playwrights Workshop and the Iowa Writers' Workshop at the University of Iowa. In 2012, LeFevre appeared as Farley in the off-Broadway production of Him at Primary Stages. The Lucky One is a 2012 romantic drama film directed by Scott Hicks and released in April 2012. It is an adaptation of Nicholas Sparks’ 2008 novel of the same name. The film stars Zac Efron as Logan Thibault, a US Marine who finds a photograph of a young woman while serving in Iraq, carries it around as a good luck charm, and later tracks down the woman, with whom he begins a relationship. Taylor Schilling (Boston, Massachusetts, Amerikai Egyesült Államok, 1984. július 27. –) amerikai színésznő. Bostonban született 1984 július 27-én. Szülei Patricia és Robert J. Schilling. Már gyerekként elkezdett színészkedni. A New York Egyetemre járt, de két év után otthagyta, hogy meghallgatásokra járjon. Taylor Schilling was born in Boston, Massachusetts. Her father, Robert, is a former prosecutor, and her mother, Patricia "Tish" (Miller), works in administration at MIT. Taylor attended Wayland High School, but graduated from West Roxbury High School in 2002, and made her film debut in _Dark Matter (2007/I)_ (qv). She starred in the movies _Atlas Shrugged: Part I (2011)_ (qv) and _The Lucky One (2012)_ (qv), and has a role in director 'Ben Affleck' (qv)'s _Argo (2012)_ (qv). As of 2013, she stars as Piper Chapman in the Netflix series _"Orange Is the New Black" (2013)_ (qv).